This morning we were officially accepted as career staff with MAF. 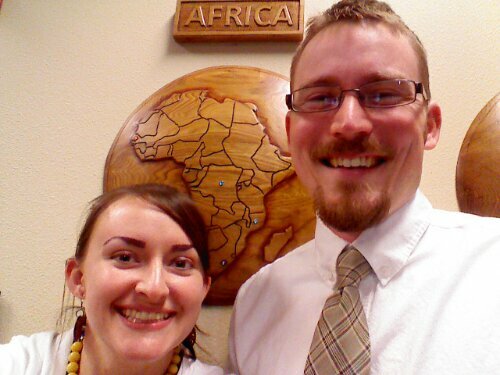 We were also officially assigned to Africa. Making things official is an exciting step in the process! It is our last day in Nampa and we are tired, but have had a great week. We got to see friends, both here at headquarters and for dinners and lunch. Thanks for sharing this good news. Kathy and I are so glad we are part of your financial and prayer support team. And we are so excited to have you both as part of our team!!! Thank you! !